Since no one seems to have watched or cared about this anime, I felt I needed to step up for it and fight the score of 4.6 it has right now. books and modern society. So if anime with very little room to catch a breath aren't your thing, this one might not be for you. For anyone else, I'd highly recommend giving it a try. Where to find the episodes? 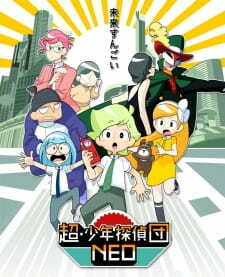 Chou Shounen Tanteidan Neo dead?